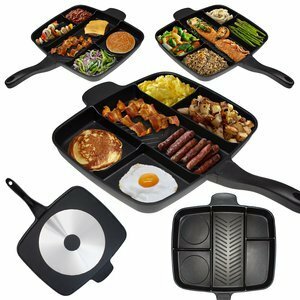 Home » Gifts zone » Gifts for home » Divided Frying Pan for All-in-One Cooked Breakfast & More! 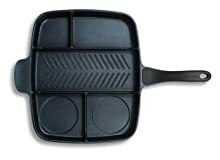 No more breaking out an entire set of cookware to cook a full meal, you can now use the Divided Fry Pan which allows you to cook an entire meal only using 1 pan. 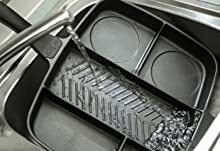 Easy to Clean, Dishwasher Safe! Prepare a complete breakfast, big burger meal, full fajitas, or a healthy salmon dinner with veggies. The possible food combinations are endless! 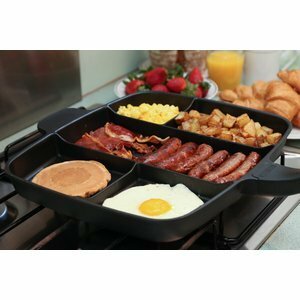 Non-stick and stain resistant; Divided Fry pan uses non-stick coating which is PFOA free. Food comes right off the pan so it makes cooking more enjoyable and easy.